Fixing the affordable housing crisis afflicting urban cities across the country isn’t going to happen without innovative solutions. 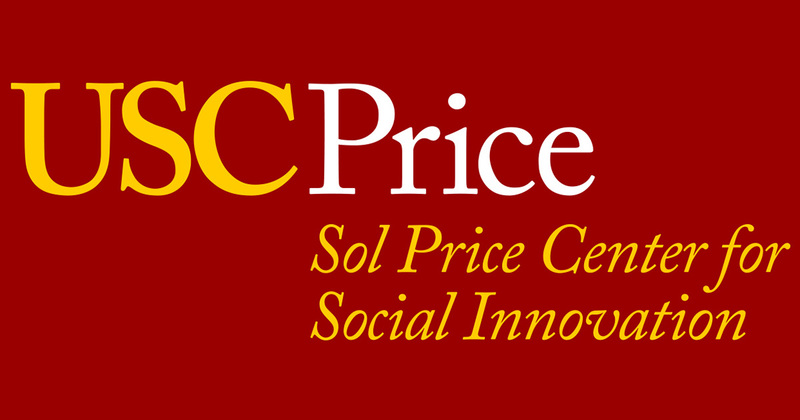 A local real estate developer has partnered with the USC Price Center for Social Innovation to create the Eddie & Jane Lorin Family Fellowship. The fellowship will support two graduate students in real estate and public policy, who will work to identify new models to preserve affordable housing, with a particular focus on “naturally occurring affordable housing,” otherwise known as existing aging units that can be rehabilitated to support the supply of high-quality, affordable housing in the future. The Lorin Fellows will work with Price Center Director Gary Painter to become fully immersed in current approaches to financing and developing affordable housing, and familiar with existing partnerships that leverage private and philanthropic capital. Fellows will then develop their own ideas to develop and preserve affordable housing, such as creating a fund that will allow foundations to use program related investments for affordable housing development and preservation. Fellows may also study the effects of the new 2017 tax reform legislation on opportunity zones. Eddie Lorin wants to change the narrative around investing in affordable housing. For decades, his business strategy has been to “take blight and make light,” transforming distressed properties into places where people can live well and affordably. Naturally occurring affordable housing (NOAH) is where most affordable housing comes from – older properties near the end of their natural life. The standard model of federal subsidies for new affordable housing construction isn’t enough to meet the growing needs of the population. New affordable housing stock can’t be built fast enough, and often faces delays from NIMBY neighborhoods. Lorin is an advocate and practitioner for focusing on preserving and rehabilitating NOAH stock to make sure those units aren’t lost permanently. Through his firm, Strategic Realty Holdings, Lorin recently closed the deal on the first naturally occurring affordable housing (NOAH) project with the City of Los Angeles. The company will rejuvenate a dilapidated 50-unit complex just outside the Koreatown neighborhood, updating it with top-notch amenities, and make substantially all of the units available for affordable and supportive housing. A unique design of the Fellowship mirrors the need for connecting private capital with public programs by having a student from the Master of Real Estate Development program work with one from the Master of Public Policy program. Although Lorin is a graduate of UCLA, he married into a USC family. His wife, Jane, is an alumna of the University and daughter Mara is a current undergraduate student minoring at the Price School. As a developer on the ground working on NOAH, Lorin is willing and anxious to prove out models developed by the Fellows in real time. His hope is that the Fellowship produces not only a model for preservation of NOAH that is applicable for him, but one that can be used throughout the industry. “We all need to work together to come up with the proper solutions to this affordable housing crisis, and I hope this partnership can make a difference to other stakeholders who value USC, helping to create more affordable housing,” Lorin said. One potential model Painter wants the Fellowship to explore is whether social enterprise can bridge the typical divide between philanthropic and for-profit affordable housing development. The fellows may build teams beyond themselves to enter case study competitions around the country that will bring more exposure to their models. Another goal of the Fellowship is to create a standardized way to measure the social impact of affordable housing.